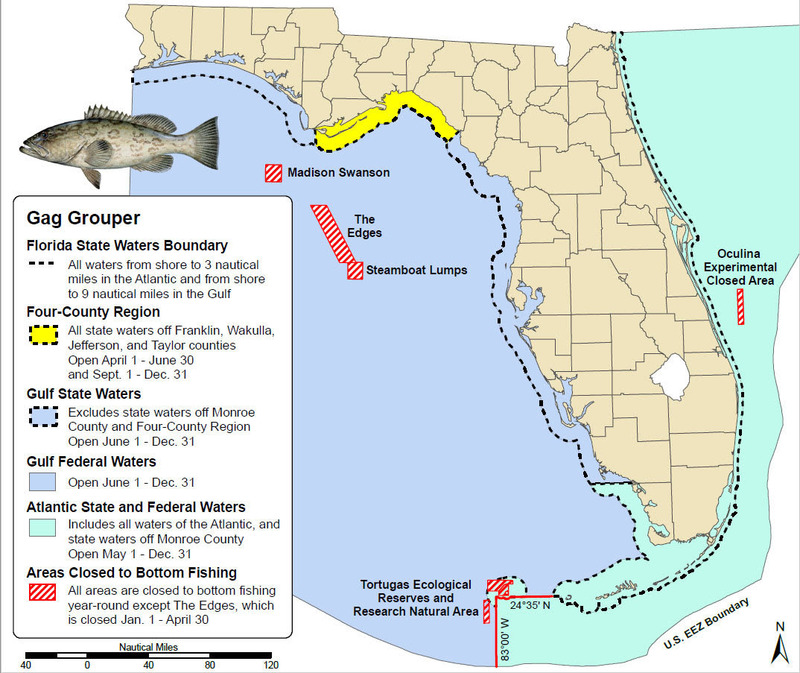 Gag grouper will open for recreational harvest in most state Gulf of Mexico waters and all federal Gulf waters June 1 and will remain open through December 31. Franklin, Wakulla, Taylor, and Jefferson counties are excluded from this opening because they have their own season from April 1-June 30 and September 1-December 31. Monroe County is also excluded from this season because it follows the Atlantic state season. The minimum size limit for gag grouper in Gulf waters is 24 inches total length. The daily bag limit is two fish per person within the four-grouper per person aggregate limit. To learn more, visit MyFWC.com/Fishing and click on “Saltwater Fishing,” “Recreational Regulations” and “Gulf Reef Fish Survey” under “Reef Fish.” Sign up today at GoOutdoorsFlorida.com.